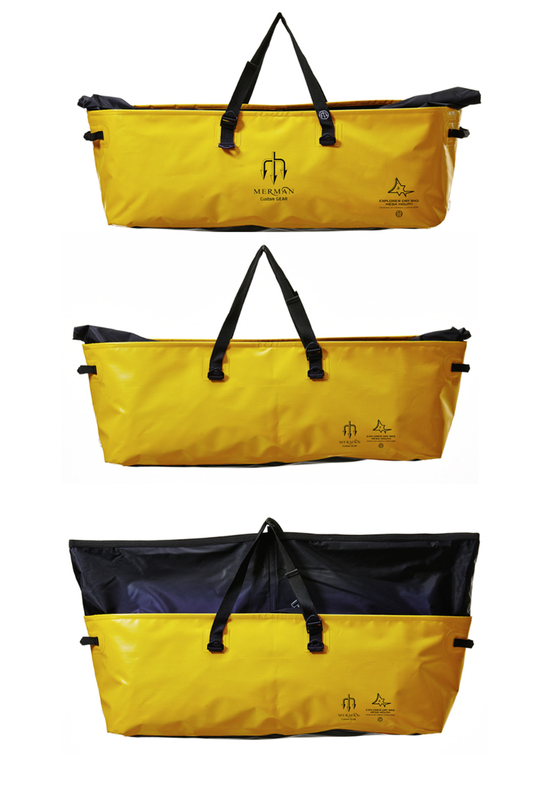 Equipment for any type of leisure activities can be stored in a 110L Drybag. It is 100 percent waterproof and it has a drainage hole on the bottom right (front-faced). It is made out of tarpaulin and it is able to extend its storage area by spreading the cover. There is a grip on each side and a long strap in the center which can be utilized to carry it over the shoulder. Two full sets of freediving equipment, or a full set of scuba diving equipment can be stored. It comes in 5 different colors: Black, white, red, blue, grey and yellow.